Photo by Aram Boghosian from The Boston Globe. After Allen Craig was cleared on waivers, the Red Sox officially announced on Monday that he was going to be added to the Pawtucket roster. Craig has 25.2 million remaining on his contract, meaning that any team willing to take him would have to pay that amount over the next three years. 29 Major League teams had the opportunity to take Craig's contract, and every one of them said no. Not even the struggling A's or the underperfoming Rockies. I still remember how fearsome Craig was during the 2013 World Series, even after his "Obstruction Call". One swing from his bat could be the game changer, and well, now he's in the AAA affiliate of the team that beated him in the Fall Classic. The problem is not that he's playing for the PawSox, but the reasons behind it (you may also wanna throw in there that he went 0-7 last weekend). How can a 30-year-old baseball player post the third-highest batting average in scoring position of all time, and two years later be in AAA without being in a rehab stint? Some may say that perhaps his first seasons with the Cardinals were a fluke, but flukes do not ocurr when you are constant, and that's the funny thing; until the 2014 season, Allen Craig was constantly succesful with St. Louis. Possibly the reason behind his failure in 2014 season was his foot/ankle injury. Maybe he wasn't mentally ready to be traded. Perhaps he was so overwhelmed by how he was going to perfom with an injury for one of the most toughest fanbases. I can mention at least two more reasons for his failure last year, but the fact is that 2014 ended almost six months ago, and Craig has been the same. What can be done with The Allen Craig Dilemma? 1.- You had a foot/ankle injury in 2014. 2.- You were traded from a first-place team to a last-place team. 3.- Fans and media were (and still are) extremely hard on you. 4.- There's no place for you in this team. Taking that into consideration, do you think that a five-day span is going to be enough for Craig to demonstrate that he is back to his normal form? Mike Napoli has been underperforming for at least five weeks and there's still hope, right? After revisiting everything that I listed, I think that 15 at-bats is not even remotely close to be a fair sample for Allen Craig to prove himself and the rest of us, that he's back. The peculiar thing is that sending him down to AAA seems like the obvious solution because he can get more at-bats and work with his mechanics without hurting the Red Sox, but I don't think that's enough. Actually I think that sending him down to AAA probably will hurt him even more if the Red Sox Organization does not handle this carefully. Obviously there's something wrong with Craig's perfomance but I don't believe that it's all in his mechanics bat or glove, I'm sure that the psychological factor must be taking into consideration. Craig needs a mentor that is able of putting him back on track, because realistcally speaking, I don't think that at this point he's going to be able to handle everything by himself. 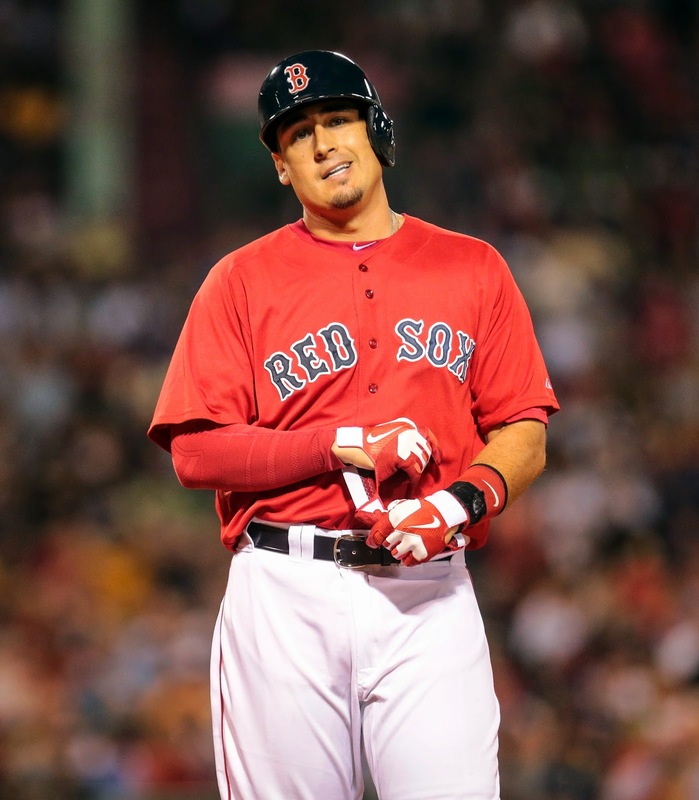 It was speculated that the Red Sox created a new behavioral health department to help Sandoval lose weight, but Allen Craig has to be their first "patient" and help him get over this horrendous perfomance with a Red Sox uniform. There are no number of at-bats that are going to help Allen Craig if he has the same mindset and doesn't begin to be more mindful about his tenure in Boston. P.S. After having a .268 BA in 2011, Daniel Nava spent the whole 2012 season with the PawSox and came back with a .303 BA in 2013 to help the Red Sox win a World Series. Do you think that Allen Craig will ever be the same? What solution do you propose for The Allen Craig Dilemma? Perhaps you'll think that I went into a Skip Bayless mode while writing this post, so leave your comments below and don't forget to follow us on Twitter at @RedSoxLife.